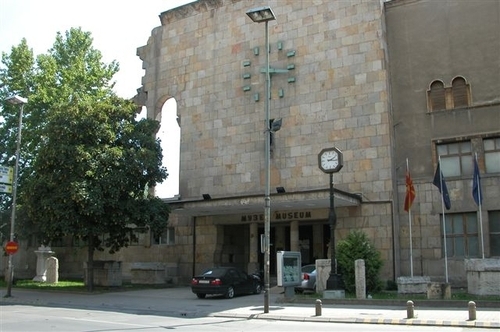 "Here is a museum here in Skopje. There was an earthquake in 1962 that destroyed almost 75% of Skopje and the time on this clock is the exact time of the earthquake on that day. You can see some of the damage to the museum to the left corner."